Taking a cruise is one of the best ways for families to see the Mediterranean. It’s so easy. You just get onto the ship and into your cabin. Then, the ports and destinations come to you! They work well for families who have some divergent interests since the kids can go do their own things but then you can meet up for meals or excursions. But, careful planning is the key so that you get the dining arrangements that you want and the best excursions. I always wanted to go on a Mediterranean Cruise, but was reluctant to take the family. Some of the things to consider were whether the kids could handle long days, lengthy flights, time zone changes and getting up early? Also, picking the right time to travel was important. For us, the ideal time is during the summer when the kids are off of school. I tried to avoid going in August because it’s the prime vacation month in Europe. Also, some attractions are going to be over crowded and it could be scorching hot. 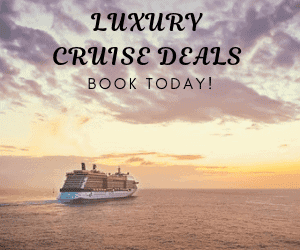 When choosing a ship for our family Mediterranean cruise, I looked for the ships features, itineraries, amenities and strong points that were important to our family. It’s also a good idea to try to plan it together. Make sure the kids are involved and get everyone’s input to drive your choice of itineraries and ports of call. If you have teens, discuss the potential pace of the cruise, organized tours, and what’s important to them about the ship to get the lay of the land and see what they can handle. Learn about your ports of call in advance. Know what you want to do even before you get on the ship. Talk things over with your kids and teens in advance and see what they want to do. If you have “must-do” excursions, book them in advance before you get onto the ship. Popular tours sell out – sometimes well before the ship sails. Plan as much as you can before you get on the ship. This includes shore excursions, specialty dining, spa appointments, and other activities. Register your children for their programs in advance of boarding the ship. Pack bathing suits in your carry-on luggage so that kids can hit the pool as soon as they get on the ship. Make sure your kids and teens go to their programs on the first night of the cruise. Friendships form quickly on cruises and it’s easier for kids to bond if they are involved from the outset. Get your family together each night and go over your ship’s program for the next day. Plan what you’d like to do, always set a time to meet for dinner, and arrange to do some fun things together as a family. Be aware that your kids will make friends onboard the ship and you might not see them as much as you might want to. Or maybe that’s the way you want it! Relax and have fun. It’s okay to enjoy your time alone. We choose the Royal Caribbean, Splendor of the Seas, which departed from Venice, Italy. Our kids were very excited about going to countries they had never been to before (Greece, Croatia, Turkey). Consider looking for ports that have great flight connections, good airfare rates, and a wide variety of hotel options, and attractions that you want to spend lots of extra time exploring. Plan on arriving at your embarkation city a day or two earlier before your cruise. This allows you a few days to catch up on sleep and unwind. We arrived two days earlier in Venice and really enjoyed our time their before our cruise by visiting Venice. Mediterranean family cruises are a great way for kids to learn about different cultures and sample many destinations. The family gets to go to Mediterranean destinations and experience a walking history book. Try to stay flexible and keep your expectations in check. Schedule some “me” time and let family members do things separately. If you do it right, you might find that your kids have a new appreciation for their world, their country, their family, and what a family vacation can be. It may take a while, but that’s a goal worth achieving. In my opinion, giving your children that kind of worldview is the best family vacation souvenir ever. All great tips! I’m planning a family Mediterranean cruise for next summer that’s kind of the reverse of yours – I’m taking my senior citizen parents – but many of your kids tips apply to them, too 🙂 I’ve never been a huge cruise person, but I agree that a cruise is one of the best ways to for a family to explore the Mediterranean – it just makes things so much easier. Thanks for all the helpful tips! Hi Amy, Your parents are going to love it! We’ve taken my mother-in-law on a cruise. She really enjoyed walking around the ship and using the Spa services. I look forward to reading about it. I’ve been thinking about a Mediterranean cruise as a way to see the area with my grandmother – it looks fantastic! Hi Jess, It’s a great idea to take your grandmother there. She will really appreciate all the history and culture that you get to see. Hi Shere, I’m not a big fan of sailing. I tend to go on large ships so that I don’t feel the boat rocking so much. Cruise ships have great programs for young children. It keeps them busy for a few hours a day while the adults get to enjoy a little alone time. It would be a lot of fun to go on a cruise with friends. I recognize exactly where you took that family photo in Venice. It’s a couple buildings down from the apartment we rented. Hubby and I went on a Mediterranean cruise the year before we became parents. It was with my own parents and my aunt and uncle, so I got to be the “kid” on the trip. We have yet to take our own kids on a cruise, but I will certainly heed your advice. Apparently, there is much that I didn’t know. Arriving a few days ahead of time is an excellent idea. Hubby and I were traveling separately (him from Chicago and me from Texas) with plans to meet on the boat. His plane was delayed by a full day, so he had to reroute his flights to catch up with the boat. No fun! Hi Michele, The area where you rented the apartment in Venice was a favorite spot for my girls, full of great shoe stores. We’ve been on several cruises and always make a point of getting there a few days earlier. Depending on the ages of your kids, the best cruise so far for kids was the “Oasis of the Seas”. The ice skating out at sea was a huge hit, along with the zip-lining on the ship. Cruises do sound like a lot of fun> I’m nt a great one for lolling on beaches, but lolling on a ship I could definitely do, between destinations like. It’s interesting they now seem to cater fr families, with programmes for kids and such. I’m curious though – what would you say is the youngest age they are good for? I know that on Royal Caribbean has programs for children as young as six months old. It’s called the Royal Babies program (ages 6-18 months) it offers the children and their parents interactive classes. The Royal Tots program (ages 18-36 months) offers 45-minute interactive playground sessions filled with age-appropriate activities and toys. A parent or caregiver must accompany the child during all activity sessions. The Adventure Young program goes from (ages 3-11 years) old. Been to Venice already. I guess doing a cruise to touch all those islands isn’t such a bad idea… By the way, earlier this year, Venice banned large cruise ships from its main canal. We have visited Venice several times and always enjoyed going back. I was really set on going to the Greek Isles and what better way to see it than on a cruise ship. Last summer when we went on our cruise they were in the middle of all the controversy whether to allow the cruise ships to continue to travel through the canal or not. I completely understand the concerns they had.